Sheep anti hCG beta antibody recognizes the beta subunit of human chorionic gonadotrophin (hCG) and recognizes both the free subunit and the whole molecule. Negligible reactivity has been observed with hLH, hTSH and hFSH. Human chorionic gonadotrophin is a peptide hormone produced by placental syncytiotrophoblasts. It acts to maintain the corpus luteum until the developing placenta is able to produce the required levels of oestrogen and progesterone.  hCG shares a common alpha chain with the pituitary hormones FSH, TSH and LH, but has a unique beta chain which is recognised by this antibody.